Dowco's St. Louis bed cleanup service will enhance your property's curb appeal and ensure the horticulturally-correct maintenance of your plants. In the spring, Dowco will freshen your beds to prepare for the upcoming summer. 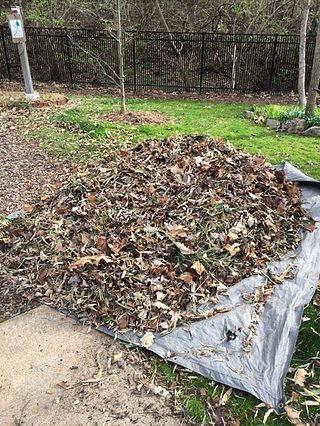 This spring bed cleanup includes removing weeds, leaves and debris. Spent perennials and small ornamental grasses will be cut back if appropriate. Mulch beds will be raked smooth to prepare for a fresh layer of mulch. Rock beds will be smoothed. In the fall, Dowco will remove summer annuals, weeds, pocketed leaves and debris. Spent perennials and tall ornamental grasses will be cut back. Small ornamental grasses are usually left through winter to provide texture and contrast during the dreary months. The beds will be raked smooth and debris hauled off site. Click on any of the links in green to learn more! Request a quote today for your St. Louis bed cleanup service from Dowco! We'll make sure that you have a property that sparkles!